Facebook has become a rather popular medium for gathering donations. Of course, with the site’s 800 million users, it’s practically guaranteed that you’ll find somebody who is sympathetic to your cause. In fact, Facebook’s so effective that some people have successfully used it as a platform for collecting donations, particularly for medical expenses. Some people have even found organ donors through the site. 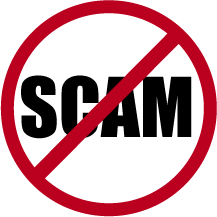 However, there are always two sides to every coin and the platform is easily abused by scammers. One mother, Julie Chambers, found this out the hard way when she saw a donation page set up for her deceased daughter, Zoe. Zoe was two years old when she died in 2008 after a heart transplant, but the donation page set up by the scammer for her was active and popular among users. The scammer stole a picture of Julie and her daughter Zoe from Julie’s Facebook page and used that as a springboard for his Facebook page. The page had a link to a counterfeit donation page where they could send money to the scammer’s Paypal account. The page has already gained 200,000 views and the donations have already risen to thousands of pounds. The scammer has also decided to make his fake donation drive viral by saying that if the page gets shared 1,000 times, then Baby Zoe will get a free transplant. Julie was very angry and upset over the matter, especially since her innocent daughter was being used to trick people. She immediately went to the police to have the matter resolved, but they were unable to help since there hadn’t actually been any money stolen from her. She also tried to report the matter to Facebook, but to no avail. She and her friends have already set up a campaign informing people that they shouldn’t spread the link to the donation page anymore – but as expected, it’s easier said than done. Who knows how far the scam has spread as of now. Indeed, the world’s in a sorry state when someone who is sick enough to do something so despicable as this. We cannot stress just how important it is to be wary of clicking any link or donating to any ‘cause’ on Facebook before you verify its security and authenticity. If you really want to donate, then do so for an official charity program and don’t be too trusting on social networking sites.